At age 12, Agatha Christie took over my life; her intriguing mysteries, a guilty pleasure which made me forget homework and household chores. As a result of this, I landed in terrible trouble with my mother and time with Agatha became strictly rationed; only to be indulged after the two “h’s” had been completed. Teen years came and my passion for the Queen of Crime gave way to Georgette Heyer and Daphne Du Maurier – two grand gals of English literature. I have never though, forgotten the pleasure Agatha Christie’s books gave to me; pleasure that has been revisited by reading Hilary Macaskill’s lovely book, Agatha Christie At Home. Agatha Christie was born in 1890 to Frederick and Clarissa (Clara) Miller at their home, Ashfield, in the English county of Devon. Mathew Prichard, Agatha Christie’s grandson, writes in his foreword to Agatha Christie At Home by Hilary Macaskill, that his grandmother loved Devonshire. 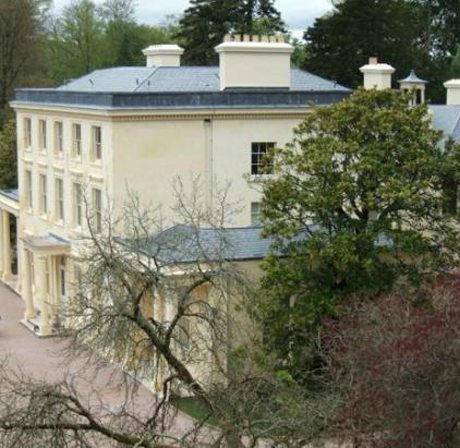 She was something of a ‘collector’ of houses; Ashfield in Torquay, where Agatha grew up and Greenway on the River Dart were homes that held special places in her affections. Educated at home, Agatha taught herself to read before the age of five. With a much older sister, Madge and brother, Monty (ten and eleven years) led a rather solitary existence at Ashfield. She created imaginary companions to fill the rooms of her treasured doll’s house and accompany her on rambles in the garden, an expanse of lawns, woods and secret places (perfect for a girl who would become the world’s biggest selling novelist). Author Hilary Macaskill’s description of Agatha Christie’s childhood is a delightfully happy one where good manners and the conventions of the day were observed with a graciousness which (sigh) didn’t survive much past the 1950’s. The book’s early photographs of Agatha show her as sweet faced and serious, included is a photo of the possibly teenaged Agatha in her dance class, posed in loose flowing robes, the group’s air of innocence is charmingly evocative of the early twentieth century. Agatha married Archie Christie in 1914 when he was on leave from the Royal Flying Corps. The marriage produced a daughter, Rosalind, but ended unhappily in 1926; Archie was unfaithful and demanded a divorce, Agatha, distraught at his betrayal, disappeared. She was the subject of a police search which attracted widespread media attention. Life with Archie, did though produce one happy outcome – it kicked off Agatha’s career as a home owner, renovator, interior decorator and on occasion: landlady. 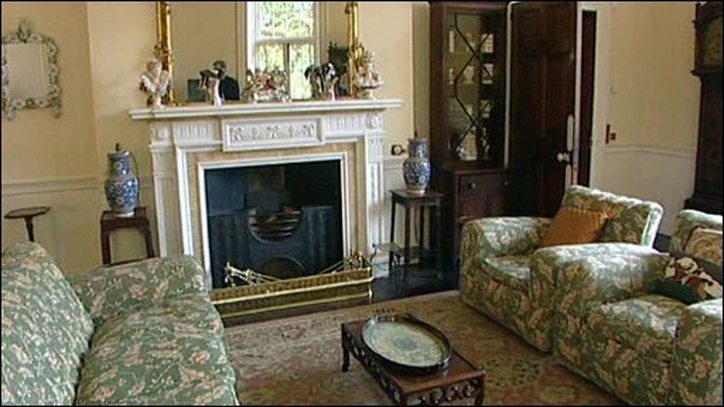 Agatha Christie At Home focuses on the houses that Agatha and her family and later, second husband, archaeologist, Max Mallowan lived in. 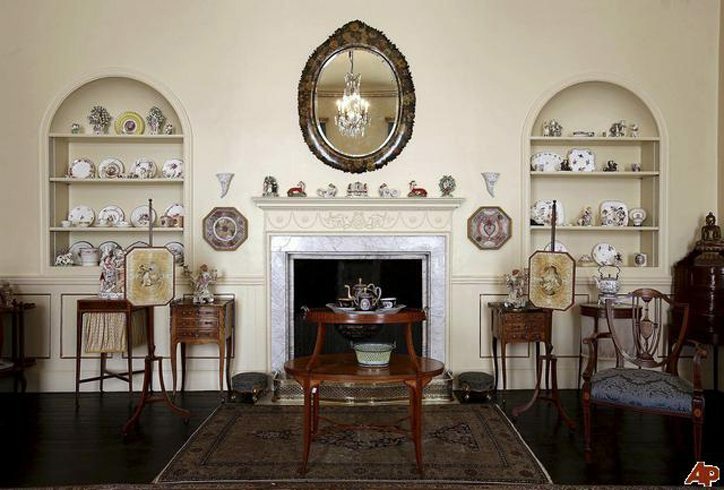 Before WWII she owned eight houses; some purchased as investments, some to call home, all renovated with flair, the interiors planned with a keen eye for design and a delight in the purchase of items that make a house a home. Author, Hilary Macaskill skillfully links Agatha Christie’s residential purchases with the creation of her mysteries; houses and gardens where she resided or holidayed became the settings for new books, residents of nearby villages appropriated for characters. Agatha, a hardworking author, while enjoying the creation of her exciting mysteries was a woman of great practicality. She liked writing but also liked the rewards it brought her – if one of her houses needed a tweak, perhaps a conservatory could morph into a loggia, money from book sales spent on renovating was in Agatha’s opinion: money well spent. A thoughtful, generous woman, she nurtured her houses in the same way she nurtured her family and friends – with loving care. Agatha Christie At Home, a soft covered book, approx 10” by 10”, is illustrated with photos of Agatha and her family (some rare), interior and exterior shots of her homes and glorious colour images of Devon, most particularly views of the River Dart and Greenway, Agatha’s home. 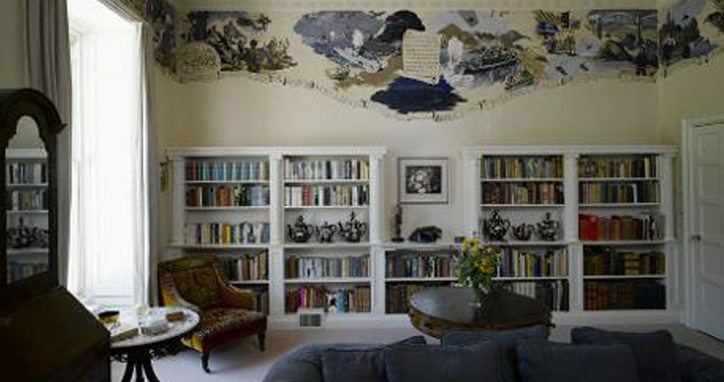 Bought in 1938, Greenway provided Agatha Christie with inspiration for her books and a happy haven for her family and friends. Greenway is now owned by The National Trust – Oh, to be in England and visit Greenway in the spring! Something I would really like to do. Properly appreciative of the role servants played in her homes, Agatha bemoaned the difficulty of finding domestic help for her homes. She did though find staff, most of whom stayed for years, becoming friends of the family. 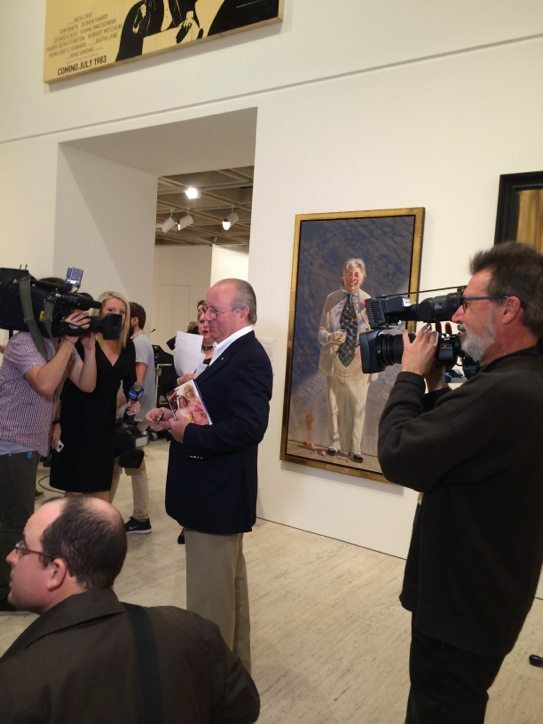 Contained in the book are some delightful recollections of life with the Christie family by a former butler. Hilary Macaskill, a London based journalist and travel writer, has used wide ranging research skills to create Agatha Christie At Home. Source material is drawn from family, friends, professional colleagues and Agatha Christie’s biography, the text illustrated with archival images and fascinating glimpses of the interior and exterior of Agatha Christie’s houses and surrounding gardens. As I was reading this book I had a lot of: ‘Gosh! I didn’t know that’ and ‘How interesting’ moments. 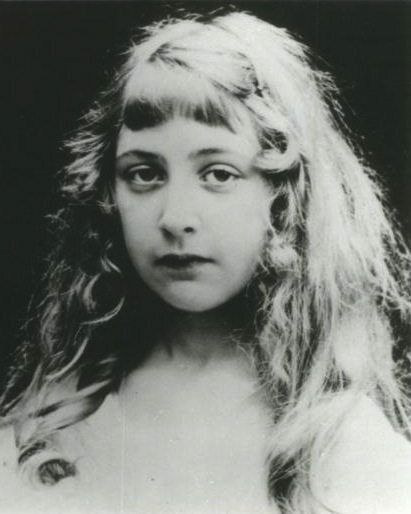 Stuff that really surprised me included: As a young woman, Agatha Christie trained as both a concert pianist and an opera singer but decided that she didn’t have the personality necessary for a ‘show biz’ career. She was encouraged by her sister to take up writing (crime readers everywhere, glad she took Madge’s advice). During WWI, Agatha Christie worked as a nurse and received a certificate from the Society of Apothecaries, qualifying her to compound and dispense medicines – she really did know the intricacies of chemistry, using it to good effect in her deftly plotted murder mysteries. 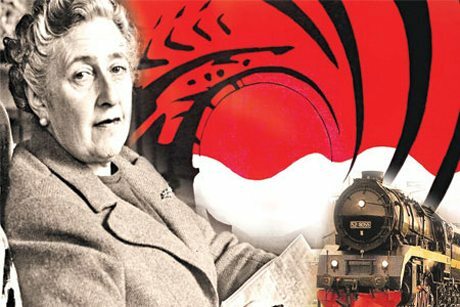 As much as being a record of the private life of Agatha Christie and her homes, Agatha Christie At Home is also a social history of England’s middle bordering on upper class society in the period between the turn of the twentieth century until Dame Agatha Christie’s death in 1976 – the details of this timeline, well written and absorbing. 1. What prompted the idea of a book on the Queen of Crime’s homes and how long did the research take? I associate reading Agatha Christie’s books with my childhood and my mother’s enjoyment of them, so I’ve always been fond of Agatha Christie. 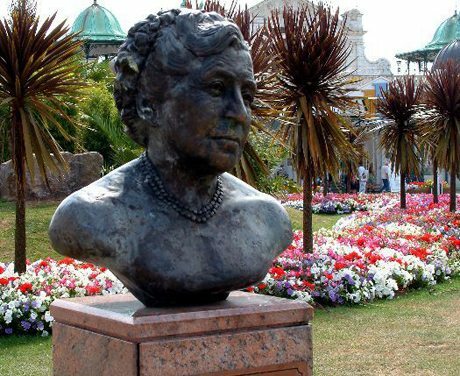 I wrote some travel pieces in connection with her – about Devon, and the Festival in Torquay where she was born. And when I learned that her much-loved house Greenway – which I’d seen once when I took a trip down the River Dart – was being opened to the public by the National Trust, I thought that was an ideal excuse to research this home, as well as her other homes: her autobiography shows her great interest in houses and in doing them up (she enjoyed doing some of the decorating herself) and I was astonished to find that at one point she owned eight houses…. So, in a sense I’d been researching for a long time, but the actual planning and writing of the book was about six months. 2. Among the homes that you visited was there a room, piece of furniture or corner of the garden where you felt the presence of Agatha; perhaps a feeling that she was enjoying your investigations? Greenway is set on a hill overlooking the River Dart among wonderful woodland gardens with winding paths, one of which leads to the ferry, and one of which leads to the boathouse. It was the boathouse that most appealed to me – upstairs is a room with a fireplace and simple furniture, and a balcony overlooking the river. 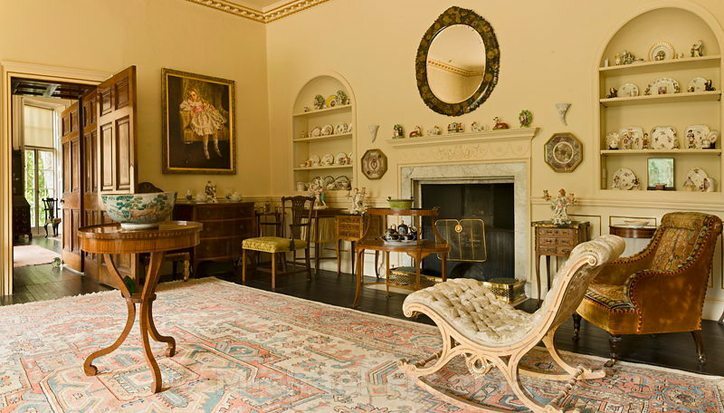 I could imagine Agatha sitting in this light and airy room on one of the wicker chairs she installed, or on the balcony outside, perhaps turning over a new plot in her mind, but perhaps just relaxing. She would often sit on that balcony in the afternoon with her young grandson Mathew, as he has recalled, to watch the steamships from Torquay and Brixham passing by. 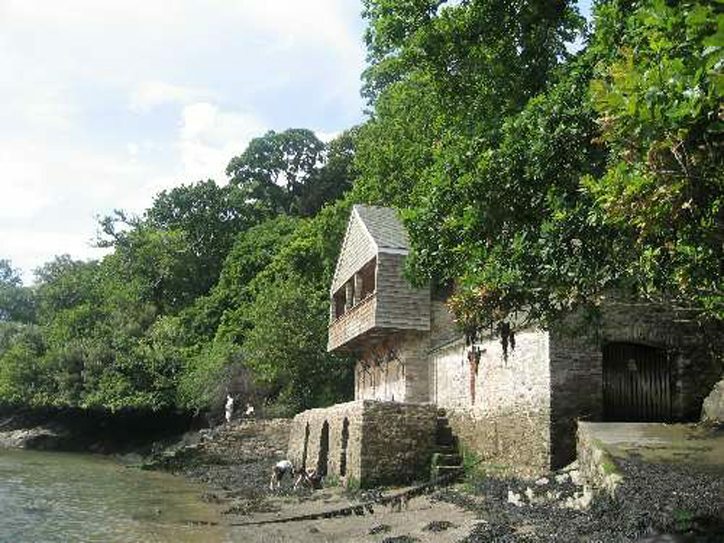 In a rather macabre twist, she used the boathouse as a location for murder in Dead Man’s Folly, the setting for which is closely modelled on Greenway, but what I think of there is her enjoying the peace and seclusion. 3. What’s upcoming for you? Last year I finished Daphne du Maurier at Home – Daphne was as passionate about Cornwall as Agatha was about Devon, so there were interesting parallels. 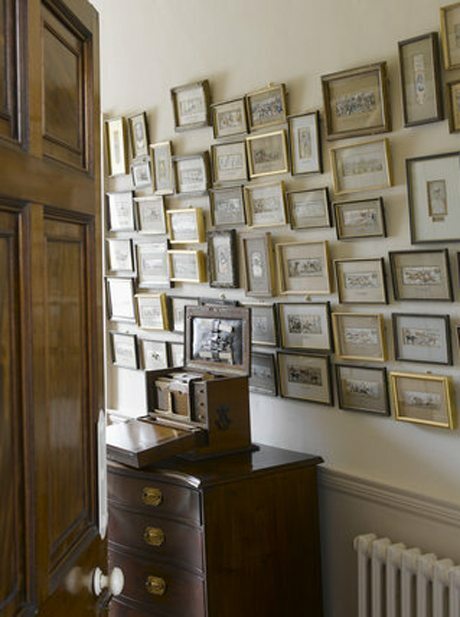 Having also written about Charles Dickens and his keenness on decorating, I thought perhaps I should write about another male writer, but at present I am reviewing favourite authors to find out who has a particular interest in home and domestic matters. No firm decision made as yet, but I’m enjoying the research. Thanks to Hilary for her insight into the story behind the book. 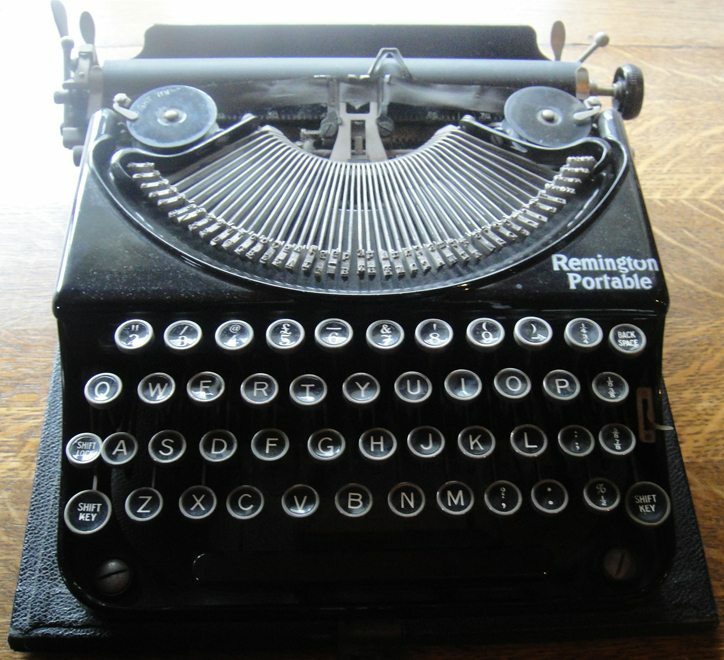 It was difficult to stop smiling while I was reading Agatha Christie At Home – the text and illustrations cast a golden glow over the homes and private life of an extremely talented writer: Dame Agatha Christie. Wherever Agatha is now, I’m sure she would agree with me, Agatha Christie At Home is a lovely read.